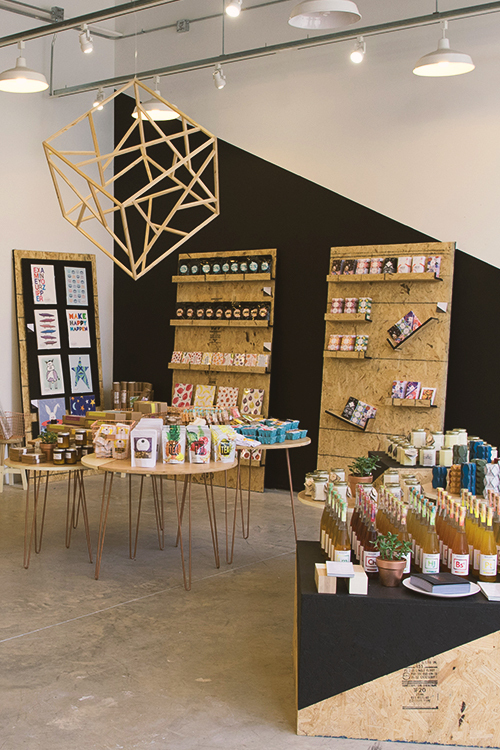 Local concept store, Steadfast Supply is a retail shop with a mission. Situated in a beautiful warehouse space at The Yards, the shop provides a platform for independent brands and designers from around the country to share their stories and products with people living in DC, and even beyond. With deep roots in creative entrepreneurship, Steadfast celebrates the triumphs of small businesses by serving as a place for independent designers and brands to thrive and grow. Playing an active role in the creative community of DC, Steadfast Supply seeks to connect independent brands with consumers. We chatted with their Creative Director, Virginia Arrisueño to get the real story. What makes Steadfast so unique within the realm of DC retail shopping? Every brand has a unique story and that’s at the core of our mission. With traditional retail, consumers see products and brands but don’t have the opportunity to truly engage with them. We strive to offer products that are both creative and consequential in an effort to connect makers and customers in a meaningful way. What’s the story behind the shop? How did the concept for Steadfast Supply come about? When people think of the city of Washington, DC, they tend to think of the politics and bureaucracy. We want people to think of creatives and inspiring entrepreneurs that bring a sense of spirit to the city. In order to do this, it’s important for small brands and independent designers to have a platform from where they can launch into the market. Steadfast Supply’s mission is not only to bring new ideas and unique products into the DC market, but also to act as a catalyst of growth for the small businesses that bring our city to life. Conceptual retail is ever changing and always evolving. With Steadfast Supply, how do you continuously move forward with each season and discover new things for customers to enjoy? Our retail concept is about making the store a place where community happens. That means finding brands with inspiring histories and strong leaders, and making sure that our customers really know the history and stories behind them. Another huge component is within our events calendar. At Steadfast Supply, we offer a wide variety of events – from workshops and panels to networking experiences and live performances. We truly want the full retail experience to be something that brings people together, within the vibrant community of DC. What is a day like in your life as Creative Director for the company? Is every day completely different? My days are always very busy, and never boring! I answer a lot of emails, take meetings, collaborate with my team, do research, and discover new brands. I love to experience and see customers discovering new brands for the first time. It’s very exciting to have a platform where we can share the stories behind all the brands we carry with our customers! It’s very humbling to watch them become inspired by the products that we have within the store. What do you enjoy the most about working within the city of DC to support local talent? I love seeing our brands grow and expand their businesses. For many of the brands we carry, Steadfast Supply is their first brick-and-mortar home. It’s a wonderful feeling to know that we serve as a catalyst of growth and exposure for so many creative entrepreneurs. What DC brands do you offer currently? 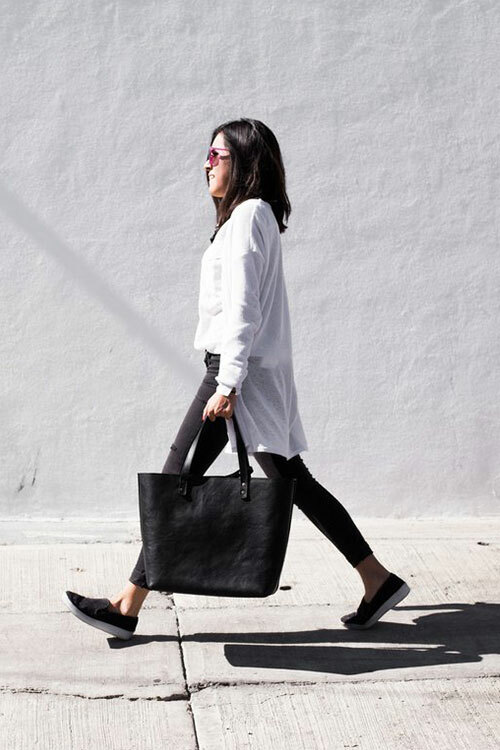 We’re happy to carry everything from home accessory brands like Naked Decor, Pure Palette, and The Neighborgoods, to clothing brands like Ron David, District of Clothing, and DeNada. We have F&B brands like Depore Tea, Happy, Healthy, Human, or Harper McCaw. Of the 60+ brands in our store, half are locally based. How do you source the brands and curate the shop? First, we want our products to be unique, distinguished, and well crafted. After we fall in love with a product, we research the story behind the brand. We have a tea brand that offers a wide variety of ginger-based teas using a recipe that the founders’ grandmother used when they were kids living in Haiti. Stories like these make Steadfast Supply a special place. What’s the process for finding interesting designers in the DC market? I’ve lived in DC for many years and have developed a wonderful network of creative people who are collaborative and community minded. A lot of brands have come recommended to me by small business owners and entrepreneurs. I also work with my team to do intense research to discover new local brands, as well as brands from across the country. How is Steadfast a growing part of the community of DC? Our mission is to make independent brands and small businesses easily accessible. Our hope is that the store continues to add local and creative flavor to The Yards and DC’s metro area. What do you love most about your job? I love meeting and doing business with budding entrepreneurs, outstanding small businesses, and other creatives. I feel grateful to meet so many extraordinarily hard-working and tenacious people and to be surrounded by their brilliant work. What’s next for Steadfast? We shall see! To be determined, as they say.